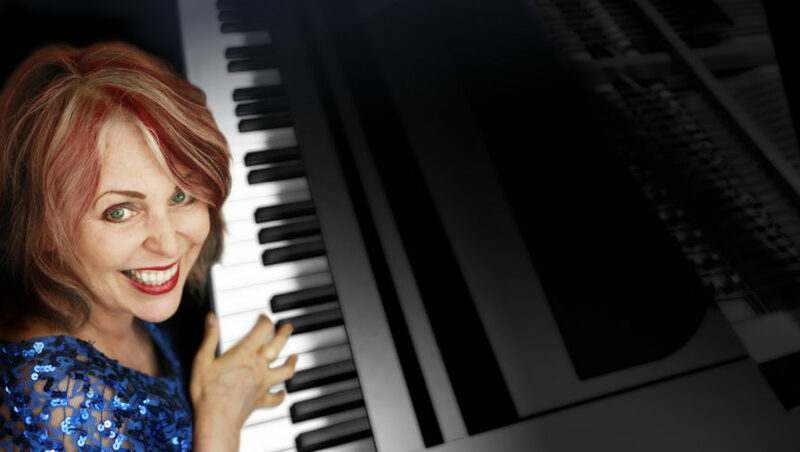 Vibrant, captivating pianist Jan Preston is returning to Martinborough for a one-off show. “Jan is known as Australia’s foremost female Boogie & Blues Piano player and singer,” says Jazz in Martinborough’s Lee Quayle. “We are really happy to have Jan bring back her boogie trio to The Village Café for another fabulous night out,” he added. Jan and her husband, percussionist Mike Webb-Pullman, last visited town in May 2014 where they played to a large, appreciative crowd. “She will also have talented bass man, and Featherston local, Patrick Bleakley join her for the show,” says Lee. 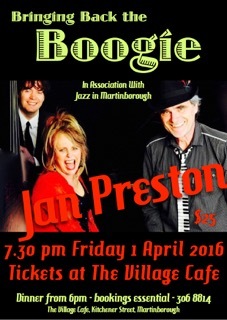 Jan Preston plays at The Village Café at 7.30 pm on Friday 1 April. Tickets are only $25 and are available from the venue; dinner will be available from 6 pm, bookings are essential (06 306 8814). Jan Preston delivers high-energy performances which, together with her candid and communicative personality, has given her longstanding popularity in Australasia and overseas. Winner of 5 Music Awards, Jan plays festivals and concerts throughout NZ, Australia, the UK, Europe and China, tours her own shows and writes music for films and television, such as the music to her sister Gaylene Preston’s Film Home By Christmas. On returning from New York in 1980, Jan formed NZ band Coup D’Etat who had the No1 hit single, Dr I Like Your Medicine. Jan has supported international acts such as the iconic Bo Diddley, and Robert Cray, and her popular performance on ABC TV’s Spicks and Specks can be viewed on YouTube. Her latest CD My Life As A Piano is on ABC music.